Senator Ovie Omo-Agege, APC Delta Central, insisted yesterday that Senate President Bukola Saraki should be ready to vacate office immediately. Omo-Agege told NAN in Abuja that Saraki, who on July 31, defected from the APC to the PDP, lacks the moral right to continue leading the Senate. 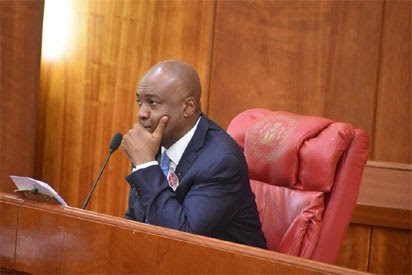 On whether the members, who were aggrieved by the outcome of the primaries at various states might affect their plan, the senator said: “Well, that is something that we will need to address when we return on Tuesday (today). “We will take an audit of where we are in terms of the numbers, in terms of those who are happy and those who are not happy.